Set back from the road with a circular driveway, this beautiful solar heated pool home with NO HOA makes a fantastic first impression. 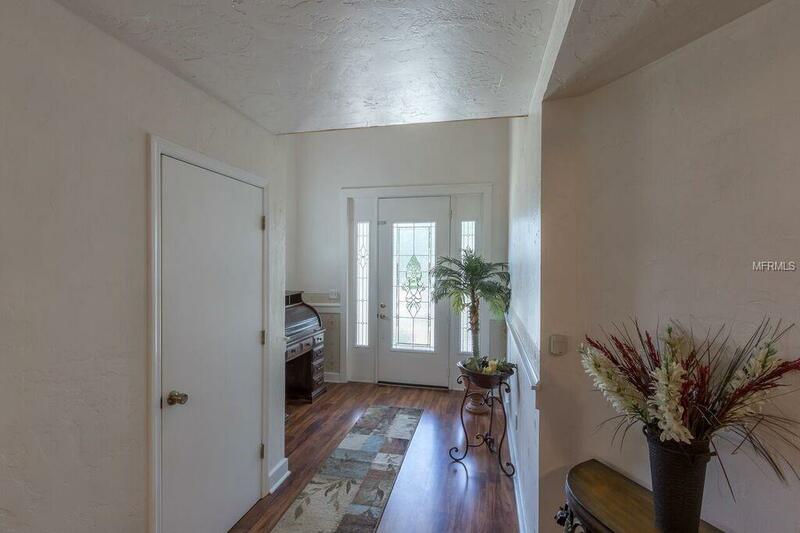 Inside you will find a great floorplan, perfect for entertaining! It has 4-bedrooms/3-baths and 2,100sq.ft. of living space. 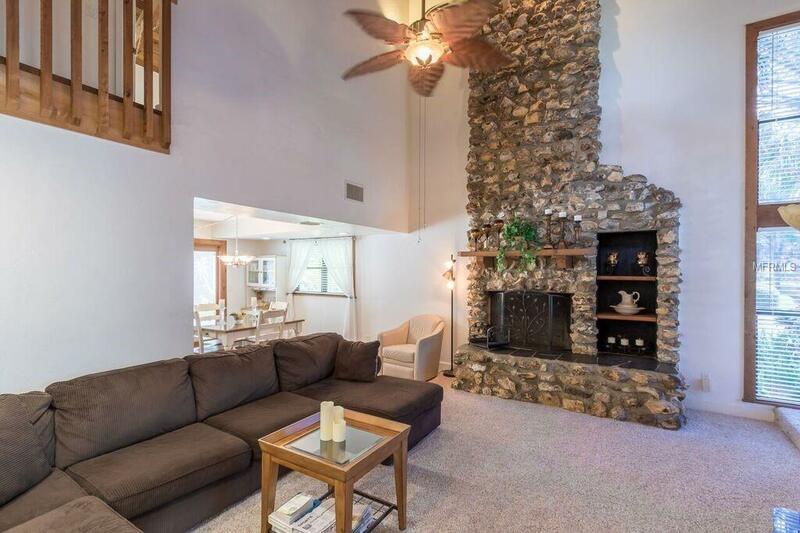 Your eyes will be drawn to the beautiful 20ft stone fireplace at the center of the living room and the wooden cathedral ceilings. 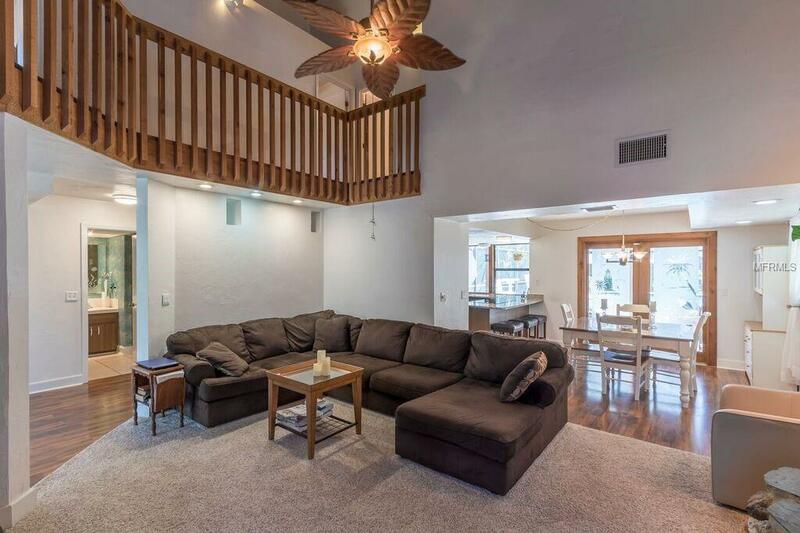 Floor to ceiling windows give plenty of natural light, and a beautiful staircase leads to the second floor where you will find three bedrooms and two bathrooms. There is a first-floor bedroom that would be perfect for an office or den. The kitchen has new GRANITE countertops with plenty of room for kitchen prep, and panoramic pool views. A dining nook sits adjacent to the kitchen and has decorative glass doors to the pool. Enjoy a large screened lanai featuring a place for grilling, an outdoor shower, and plenty of deck space to entertain. The beautiful solar heated saltwater pool is refreshing and inviting, and large enough to host the biggest pool party on the block! There is garage parking for three cars, and plenty of parking in both the front and back of the home. Other notable features of the home include a new roof in 2018 and an AC unit with a transferrable warranty. 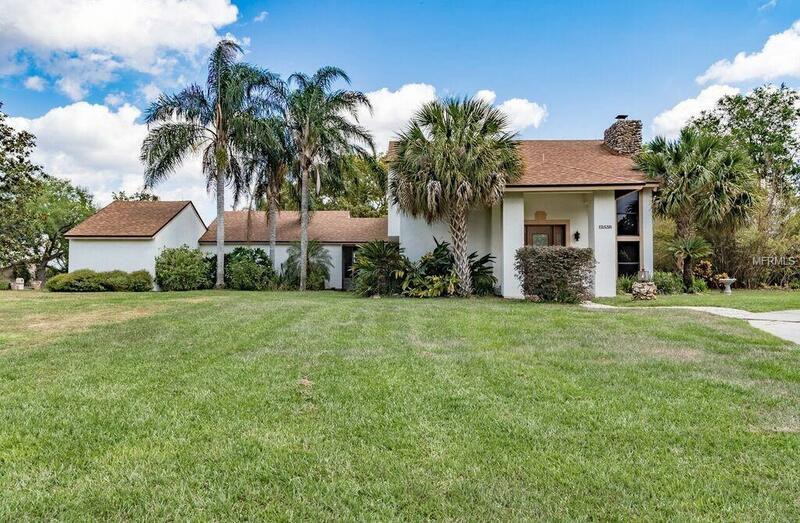 Get settled into this beautiful pool home just in time for the summer! Additional Lease Restrictions Please Reference Any County/City Restrictions. Pet Restrictions Please Reference Any County/City Restrictions.